Supplements. If you are in the fitness industry on any level, you will deal with them. Whether you are taking, selling, or promoting supplements they are everywhere. Open up any fitness magazine and you’ll see all the superstars pushing a pill or powder down your throat. Maybe that’s why it produced $32 BILLION in revenue in 2012 alone. The hardest part is weeding out what is a quality supplement and what’s a bunch of fluff just to get your money. There are more supplements on the market that I could ever imagine. From protein powders and pre-workouts to African roots to help with gout. There’s something out there to cure and fix it all… or is there? The hardest part about supplements is determining if what I’m about to buy has any actual research behind it or are they just making a ton of false statements they can’t back up. Also most supplements are not FDA approved so you don’t truly know if it’s safe to ingest. This is where my simple rule comes into play. Here are my tips to keeping supplements simple and ways to filter out the good and the bad. 1) Supplements should be just that, supplementing a little on top of a great workout program and effective diet. You can’t supplement your way to a healthy life or great physique if you aren’t doing the first two. 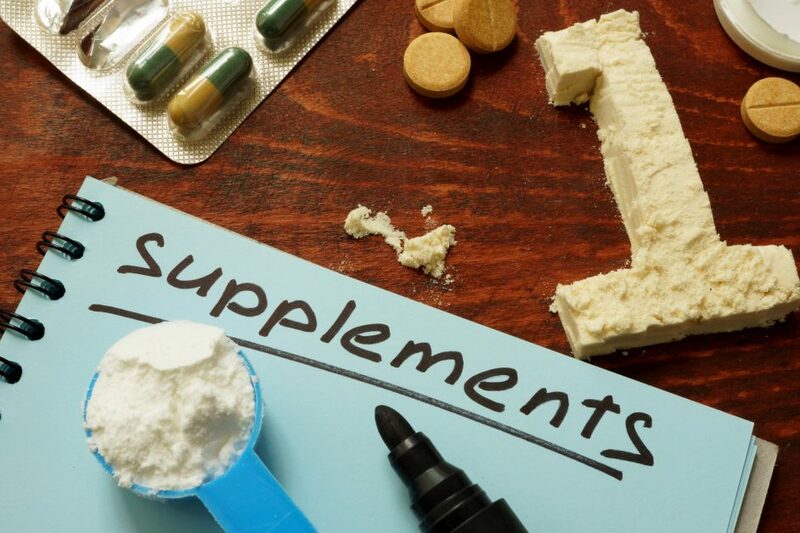 2) Avoid supplements with a long list of ingredients you can’t pronounce or have never heard of. These scientist get in the lab and doctor up supplements without ever testing them on human because there is no true regulatory system to crack down on the dangerous ones until its too late. Once someone gets sick or dies from a supplement they will say that “ingredient” can no longer be used. The scientist will go change one carbon ion or put a couple hydrogen molecules into the equations and its ready to be re-released to the public, but it’s still the same dangerous product. 3) The first 4 ingredients. These are normally the main ones that make up the supplement so if you see sugar or flour within the first four on your protein powder, you may want to avoid them. Those are just fillers and you aren’t getting what you’re truly paying for. 4) When in doubt, research it! If you are interested in a supplement you read about in a magazine or something a guy at the gym is taking,research it on your own, don’t just take their word for it. One of the best sources for unbiased supplement research, breakdown, and truth is examine.com. I go to this site a few times a month just to make sure the dosages of my supplements are acceptable or optimal for myself. They also site all the studies they have reviewed under the supplement so you can see for yourself. Amazing source of information and knowledge. 5) K.I.S.S. Keep It Simple Stupid. No one needs to ingest these sill fat burners or body creams to make you “sweat” more. Stick to the basics if you are going to take supplements: protein powder, creatine, fish oil, vitamins, and minerals. ALWAYS check with a physician before consuming these or any products to make sure they are safe for YOU. We don’t want a supplement to interfere with your blood pressure medicine or beta-blockers. For more advice on supplements, healthy eating, and training you can email us at trainers or go to examine.com and start researching for yourself.